The competition program includes Croatian films, both feature and short films, usually premieres at the festival, as well as international program, children’s program, youth program, retrospective program and Pula Cinematheque. The accompanying sidebar program consists of programs for film professionals, film workshops, different exhibitions dedicated to cinematography and concerts. The jury awards the main festival prize – Grand Golden Arena for Best Festival Film. The Golden Arena is also awarded for the best director, screenplay, actor and actress, supporting actor and actress, DOP, editing, music, scenography and costume design. 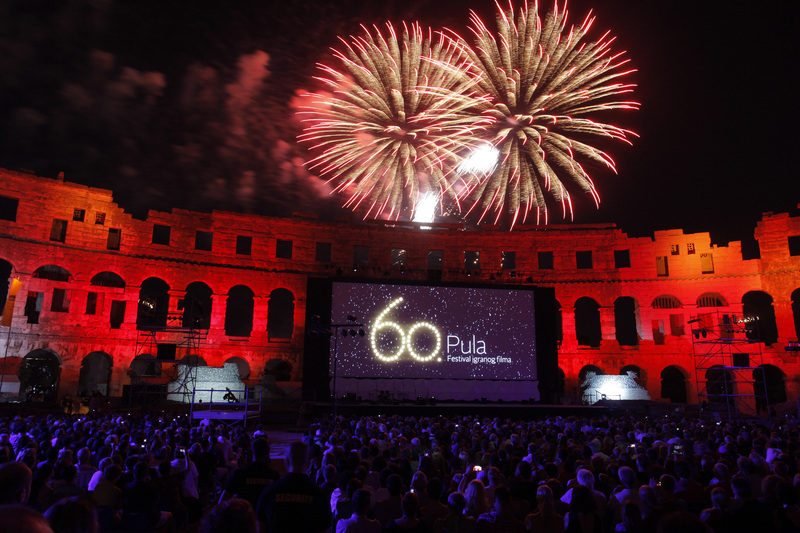 Another official festival award is also Octavian awarded by the Croatian Society of Film Critics (HDFK), and the Golden Gate of Pula, an award based on audience votes for films screened in the Arena.